I enjoy sport. And active and passive. And if I can not rush out, at least I look interesting sports on television. Often it’s better than being right in the center of the action. At the “atmosphere” little faith, beer and sausages consumed (in this combination) and at the telly and you’ll learn other points of interest around the sport you are watching, or its actors. No wonder that on my favorite TV station belongs and Eurosport. Or have only belonged? Sometimes it happens that the transmission of the same sporting event, and deliberately not write struggle, because it is not always available, give the other television. But when do I choose between Eurosport and Slovak TV Nova TV, one way or the unit or the two, always wins Eurosport. As well I track commenting in Czech and English, the two languages ​​I understand enough so that I prefer one of them and one omitted. Well, last week I ventured so on Eurosport Bay game, I do not know with whom, after all, is the one who in turn charge the ? and fall asleep to the commentator’s voice. Zali I had coffee and went to the living room to see if I mistake not turn STV2. Turn on. It only Eurosport, or maybe the new owner (in summer they bought a group of Discovery) apparently started to save. The Czech Republic and Slovakia Eurosport broadcast from Prague and so far almost always commented cesium. Now I first overheard Slovak, I would not mind. I do not like the tranquilizer intonation. I do not know what is the matter, I can only assume that Eurosport wants to replace proven and can be expensive Czech Slovak commentators cheaper. But if it will go on this way as well as in construction or health care where the Ukrainians on every building and in every hospital, we see the Ukrainian sport commenting on the territory of Bohemia, Moravia and Slovakia? And where will it stop? The Syrian commentator, who will be even cheaper? Eurosport me this disgusted available. I do not belong to those who just good. If the same trend continues, I will stop and watch these broadcasts, as well as years ago I took out Slovak and Czech intelligence and hence advertising. 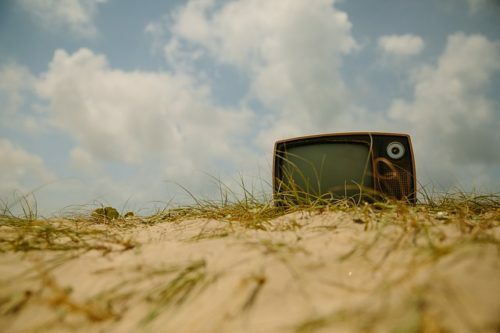 I do not need television, television viewers needs. This entry was posted in Uncategorized and tagged sport. Bookmark the permalink.